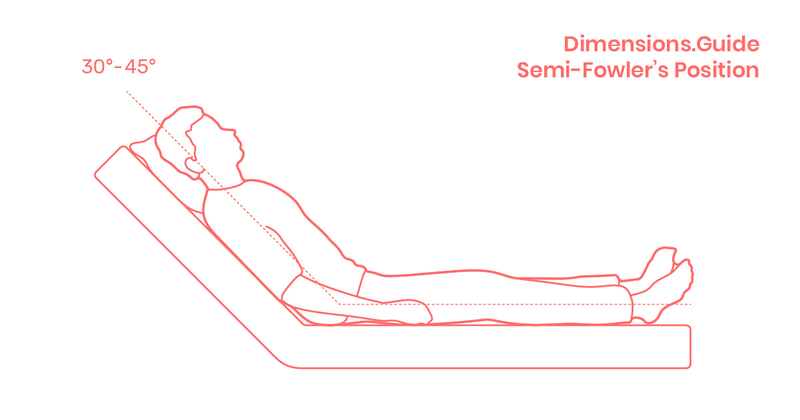 The Semi-Fowler’s position is an inclined medical position where the patient is on their back at a bed angle between 30°-45°. Used for similar Fowler’s position purposes that include lung expansion and feeding, the Semi-Fowler’s position is uniquely preferred during childbirth to improve the comfort of the mother. The foot of the bed can also be raised to assist in bending the legs if needed.